These unique Belgian Malinois Poses 2 Socks will warm your feet and heart. A comfy blend of 75% acrylic and 25% stretch nylon, everyone will enjoy our Belgian Malinois animal socks. Don't be caught in the cold without a pair, they also make a nice gift. 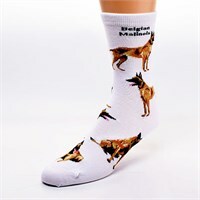 The Belgian Malinois Poses 2 Sock fit ladies size 9-11. Nothing beats the exceptional look and quality of our Belgian Malinois Shirts. Among the finest made, you will be provided with great satisfaction and long lasting enjoyment. 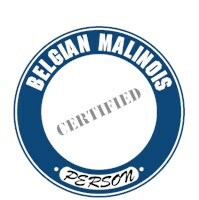 Why not pamper yourself or give a loved one a Belgian Malinois gift to show them how much you care. 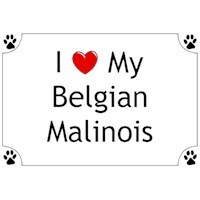 The Belgian Malinois Shirts will make the perfect gift for any Belgian Malinois lover. Shop with confidence, because all products come with a 100% customer satisfaction guarantee. 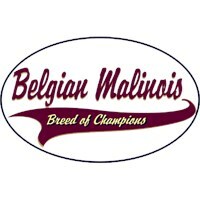 Click over now to see the big selection of Belgian Malinois gifts we offer. Nothing beats the exceptional look and quality of our Belgian Malinois Sign. Among the finest made, you will be provided with great satisfaction and long lasting enjoyment. Why not pamper yourself or give a loved one a Belgian Malinois gift to show them how much you care. 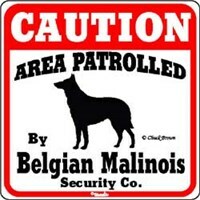 The Belgian Malinois Sign will make the perfect gift for any Belgian Malinois lover. Shop with confidence, because all products come with a 100% customer satisfaction guarantee. 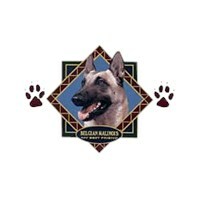 Click over now to see the big selection of Belgian Malinois gifts we offer. 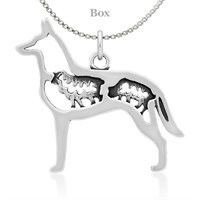 Our Sterling Silver Belgian Malinois Necklace are hand made and made of .925 Sterling Silver. The perfect shirt for any Belgian Malinois lover. 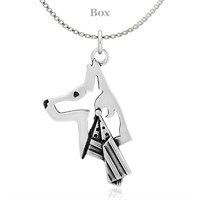 Our Sterling Silver Belgian Malinois W/Flag Necklace are hand made and made of .925 Sterling Silver. 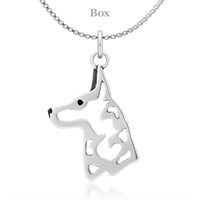 Our Sterling Silver Belgian Malinois W/Sheep Necklace are hand made and made of .925 Sterling Silver. 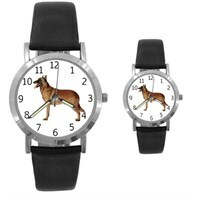 Time after time, you'll hear me say that I'm so lucky to be loving my Belgian Malinois Watch. Warm and wonderful, there is nothing like your best friend on this quality made Water Resistant Watch with Stainless Steel Back and Genuine Leather Band featuring a Lifetime Warranty. A perfect fit at 1 5/16" Diameter for Men and 7/8" for Women Your precious Belgian Malinois makes an outstanding gift and will tell perfect time every time with Japanese Quartz Movement.